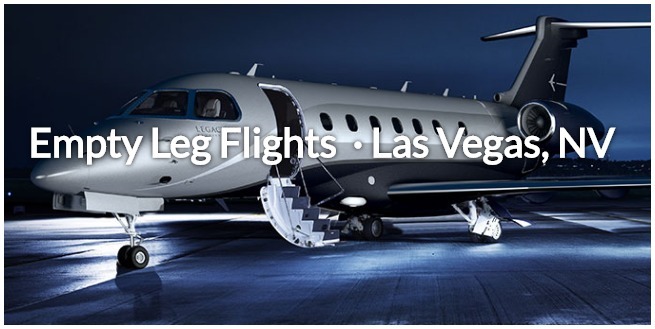 Get connected to the best deals on private flights with an empty leg flight to/from Las Vegas! Call us anytime, anywhere and enjoy direct access to a network of more than 10,000 private planes, allowing us to locate an empty plane that matches the routing of your flight to/from Vegas! Sin City is one of the most popular private jet destinations in the world—in fact, the route between LA and Vegas is the most frequently flown routes for private jet in the United States. All of these business jets and luxury planes flying back and forth open daily opportunities for you to jump in a private jet at just a fraction of the cost! Call us at +1 (888) 987-5387 for more information on empty leg flights in Las Vegas, and charter planes returning to Vegas from wherever you’re flying from. Las Vegas is a popular destinations for one-way flights, but what happens to the planes after they arrive? It can’t sit on the runway, since that equals losing money. The plane will have to fly home, and it completes the return flight to its home airport (or other destination) without any passengers on board. So, how exactly are one of these flights created? When flights are booked for a specific aircraft, its schedule is modified and planned around the trip by the aircraft operators. For example, if a one-way flight is booked from Las Vegas to New York City, the aircraft then needs to return back to Vegas from NYC. This is the “empty” portion of the trip, also referred to as deadhead leg or deadhead jet. This trip is then marketed and sold at a substantial discount to help cover operational costs. 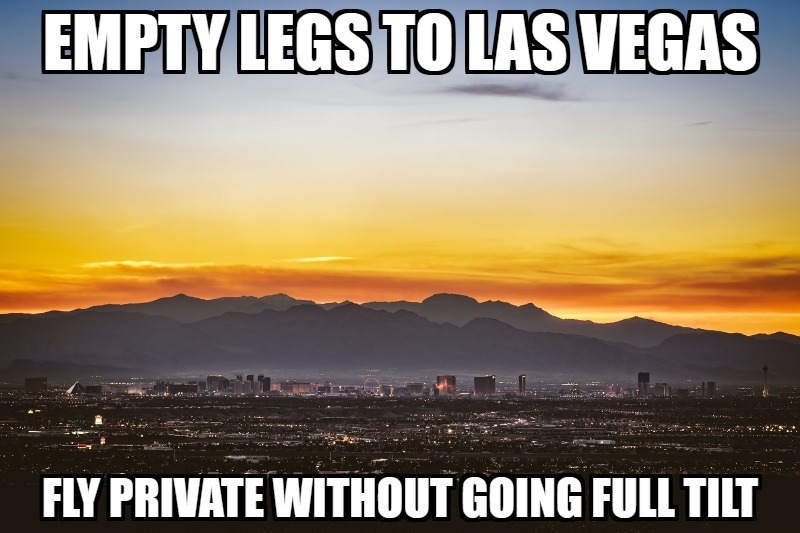 What is the empty leg market like in Las Vegas? Let’s put it this way: there are more than 10,000 private jets available for charter in the United States. These planes travel across the country, picking up and dropping off passengers from coast to coast who have booked flights on a specific plane. Knowing where to look is more than half the battle when it comes to finding one of these time-sensitive, heavily sought after travel deals. Our brokers can see every plane across domestic and international charter markets, including any holes in the schedule. Let us find you a pop-up deal or must-sell flight that can reduce the cost of your private jet charter by up to 75 percent! There are hundreds of jets and turboprops based at McCarran, Henderson Executive, and North Las Vegas Airport, and thousands more flying across the country. For example: looking to arrive at McCarran Airport from Chicago Midway? We may be able to use a transient plane flying from New York and returning to Los Angeles, stopping to pick you up and drop you off along the way. And unlike most one-way flights, you’re not charged for other portions of the flight. Flexible travelers can benefit the most from these deals. The more flexible regarding times, dates, and airports, the more aircraft options will become available. Planning a one-way flight? Doesn’t hurt to roll the dice looking for an empty plane. Even if we come up snake eyes, we still offer around the clock air charter services with the most competitive rates in private aviation. Whether you’re looking for an empty leg flight from Las Vegas, or searching for the best deals on a private jet to Vegas, we offer 24 hour air charter services no matter where you’re located. And, our quotes are free and non-committal, so don’t hesitate to reach out for more details!